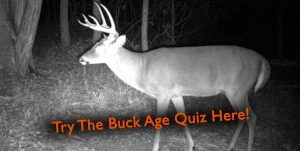 PODCAST #17 – When Will The Whitetail Rut Be This Year? We are answering the million dollar question this week, “what triggers the whitetail rut?” We will also cover how state agencies gather data to publish peak breeding maps for states and counties, the wide array of southern rut dates, and what likely caused this great variety of peak breeding dates. To start we will catch up on our most recent hunts, including Mark’s muzzleloader opener in North Carolina! -How do state agencies generate rut timing maps? -What factors trigger the rut? -What caused all of these random rut dates in the south?